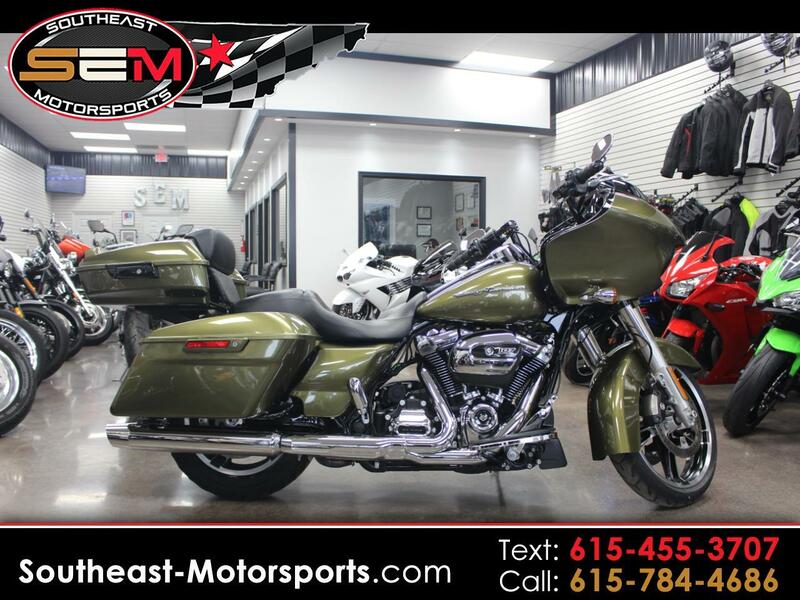 Just in is this 2017 Harley Davidson FLTRXS ROAD GLIDE SPECIAL. This bike is in like new condition and loaded with only 6k miles. The S model comes standard with ABS, Security, Touch screen navigation, Bluetooth radio, and much more. This bike also comes with the low profile tour pack. Come check it out today this deal wont last long.This bike has also been through our certified mechanics 50 point inspection so buy with confidence. We also offer extended warranties on our units. Here at Southeast Motorsports we also offer aggressive financing for many types of credit situations with rates as low as 2.3% and terms as long as 84 months with qualifying credit. Please contact us with any questions and visit our website www.southeast-motorsports.com to get preapproved and to check out our other great cars, trucks, suv's, and motorsports products. Message: Thought you might be interested in this 2017 Harley-Davidson FLTRXS.